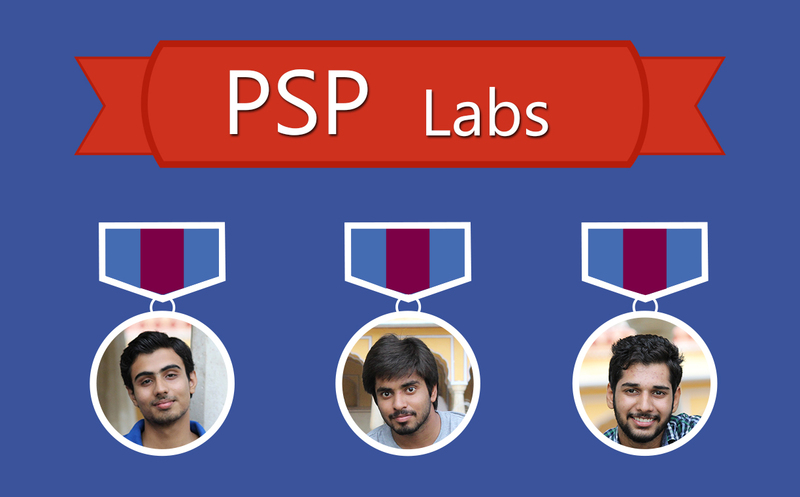 PSP Labs. 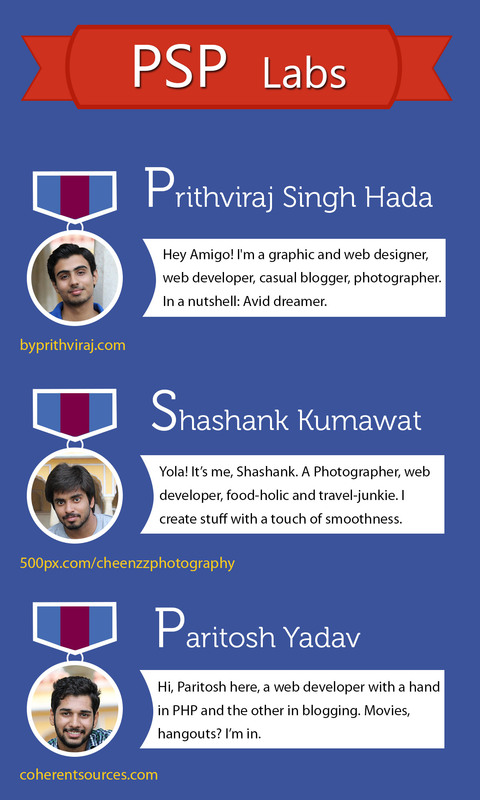 P = Prithviraj Singh Hada (Me), S = Shashank Kumawat, P = Paritosh Yadav. We met in 2012, in our third semester of engineering (Computer Science, in case if you wish to know). Till then we learnt together, we worked together, enjoyed together, had fun together and stayed as a team together. I’ll discuss about us, someday, later. We have worked together in fields of graphic design, web design and development, software development. To represent our work as a portfolio and our set of tools and tech, I created this infographic. It is divided in three sections: Work, Technologies and tools, About Us. 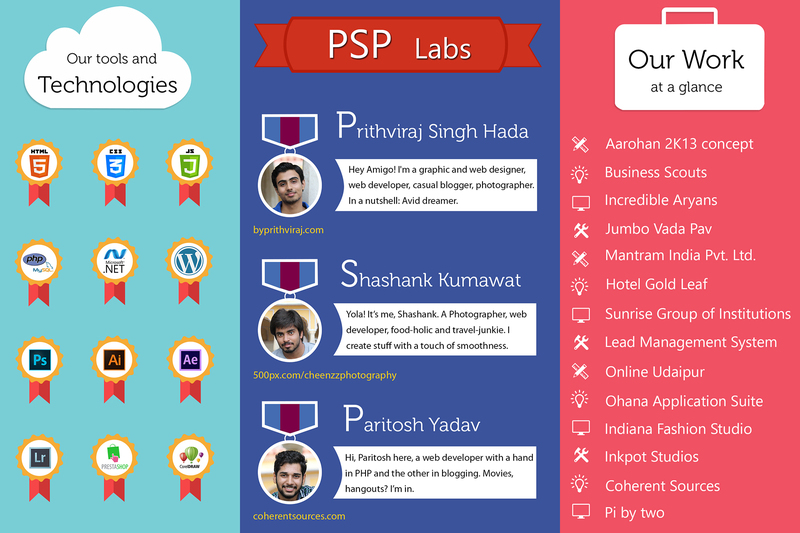 The work section showcases some of our bragging projects, Technologies and tools section puts light on the tools that we use and technologies which show our excel in and a nitty witty about us section featuring trio of us.